AWESOME PRODUCTS FOR ANYONE WHO WANTS TO STAY WARM THIS SEASON. WE ARE ALWAYS LOOKING FOR NAME BRAND PRODUCTS THAT HAVE GREAT VALUE. 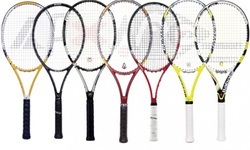 We'll help you pick out the perfect racquet. New styles from Prince and Head ! is one of our most asked for items. 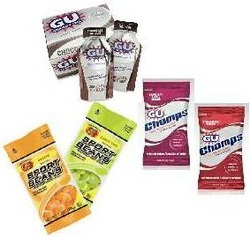 Our Gu, Chomps, Sport beans, and new Recovery Bites make great stocking stuffers!! reflective items tells your recipient how much you care about them. Running gloves for Men & Women along with hats and other accessories. CWX tights to support the muscles and keep them warm. Other tights and running pants also available. What about a new pair of shoes? a Gift Certificate always fits. Swimsuits in many styles and colors. You can never have enough suits. Swim goggles, Caps, and accessories make great stocking stuffers! The ultimate swimming bag. Embroidery available. Under Armour, Nike, and The North Face sweatshirts.